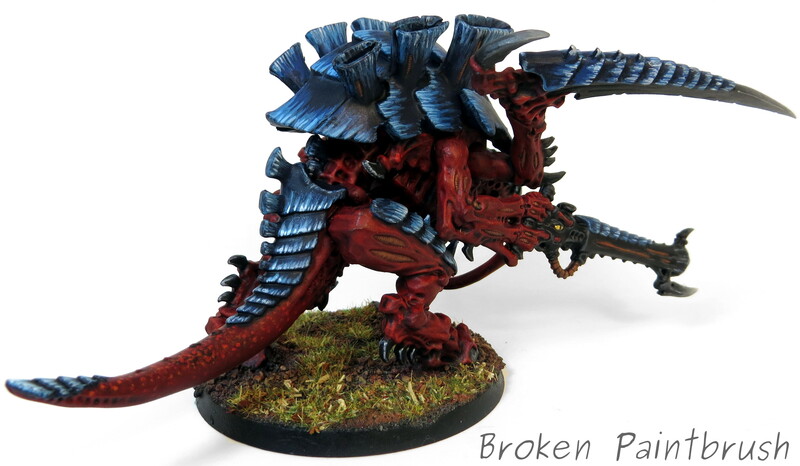 So I few years back I enticed my brother-in-law to join me in the 40k world and he was drawn in by the Tyranids. While he has built up a small army of the bugs he hasn’t quite got around to painting them all yet. Over the Christmas break we spent time base coating his whole army red and had planned on doing the black/blue base as well but just ran out of time (future post coming on Kill Teams!). 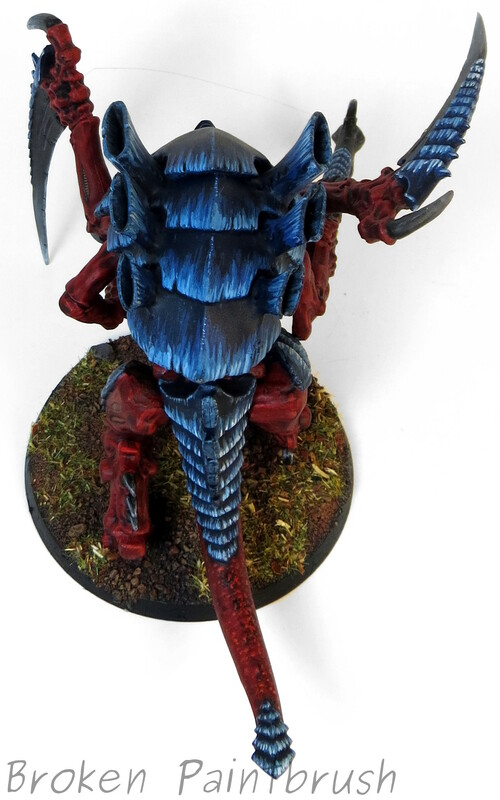 To help motivate him and get the painting juices going I volunteered to paint his Carnifex – ok it may have been a bit selfish on my part too! 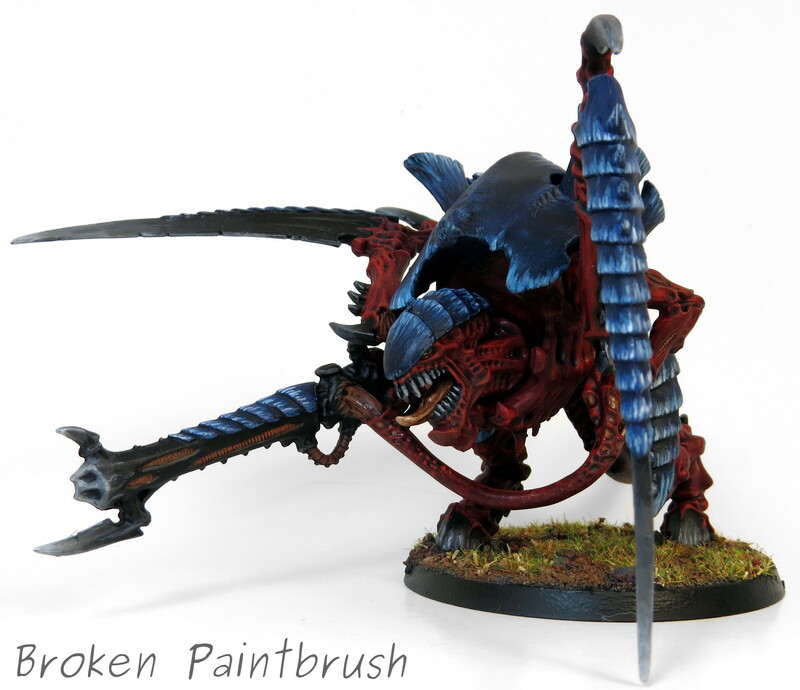 He had chosen Hive Fleet Behemoth and painted a few ‘guants for me to pull colors from. The whole model had already been sprayed red so I based in the Necron Abyss for the blue areas, black for the weapons and claws, and elf flesh for all the soft bits. A black wash later had the model tabletop ready. I love the look of stark contrast on the chiten so I layered in two shades of blue and ended with pure white. The red was highlighted red and a bit of orange around the face. The tail and tentacle arm received a bit of freckles to give interest on the flat areas.